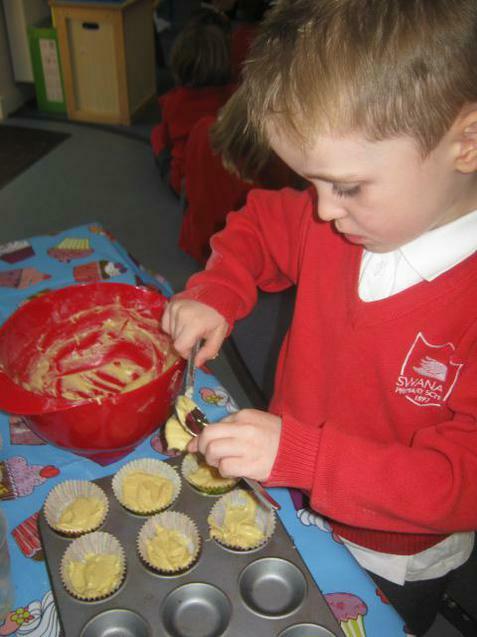 Our topic this half term is Traditional Tales. 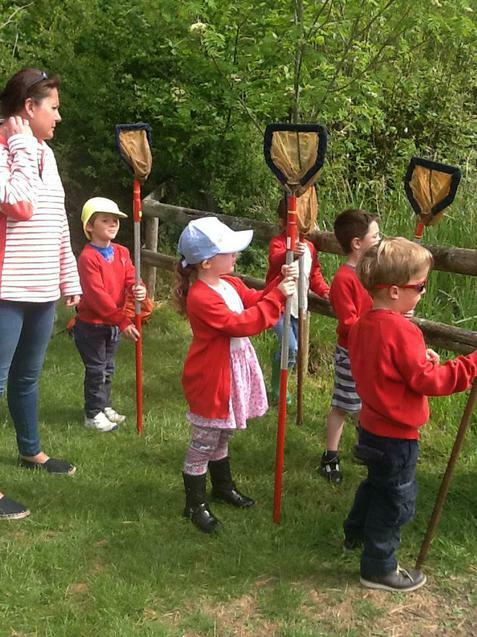 Please find below an overview of what your children will be learning. Pete the cat might be coming home with you soon! 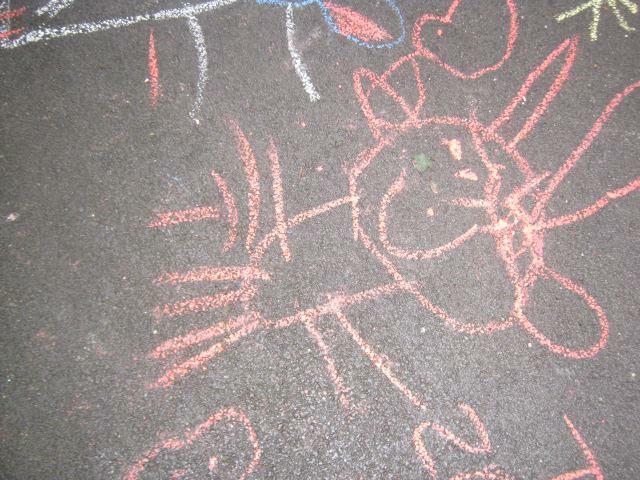 Look out for Pete the Cat! 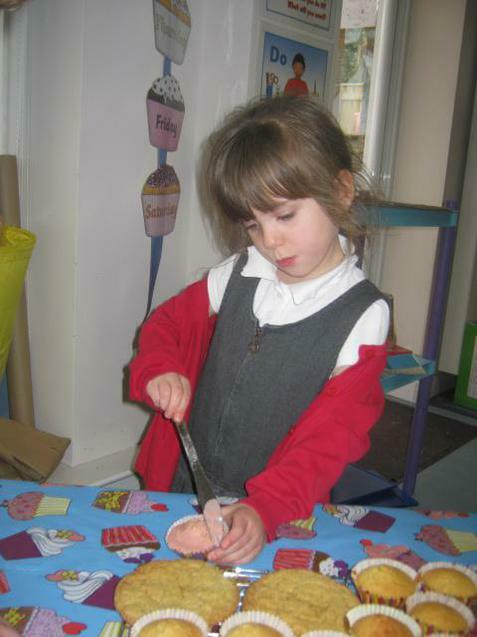 Shrimps have been in school for half a term now and are really getting used to the routines of school now. 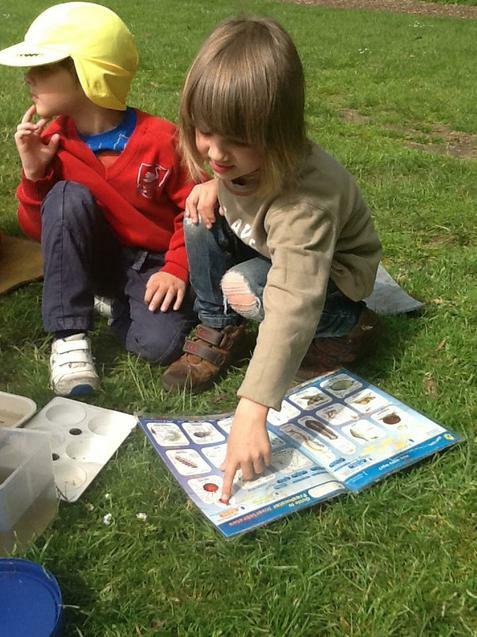 Lots of new friends have been made and new games have been learnt. 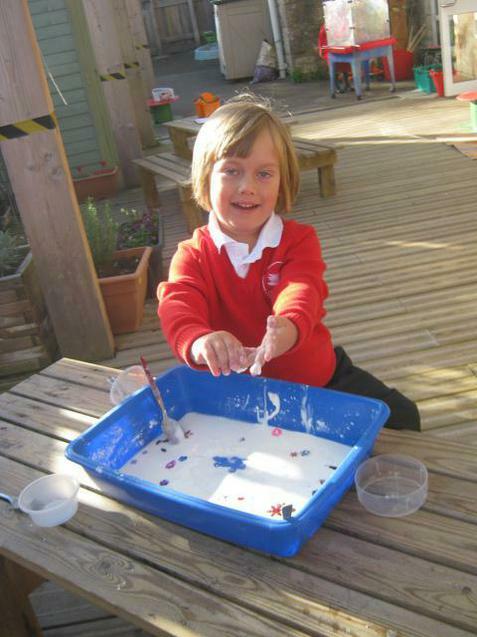 Thank you to everyone who has made the children's first few weeks in school a success. 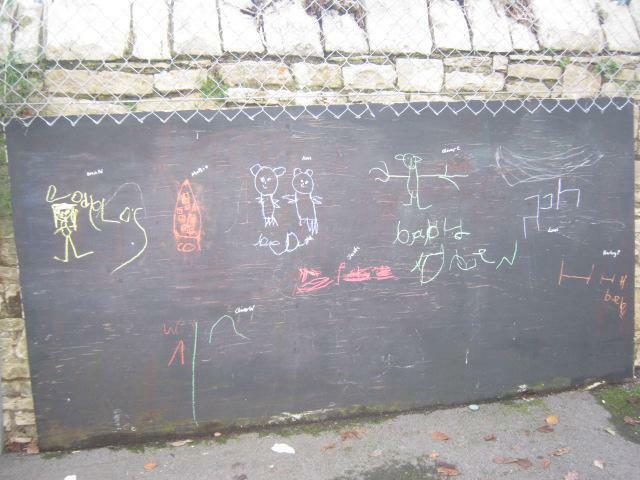 This half term our topic has been Once Upon A Time. 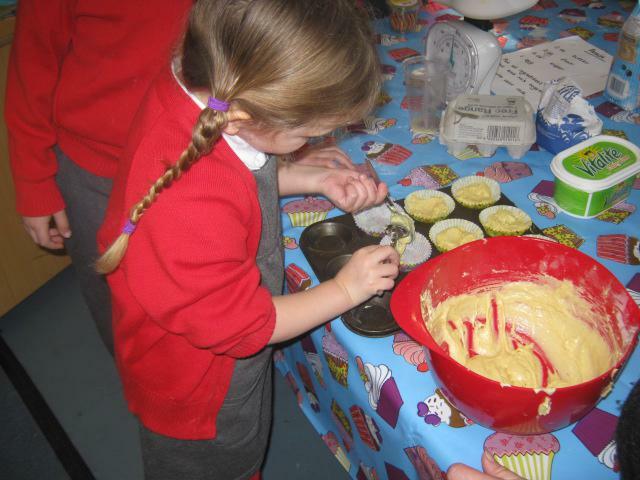 The children have had great fun learning through some of their favourite stories. 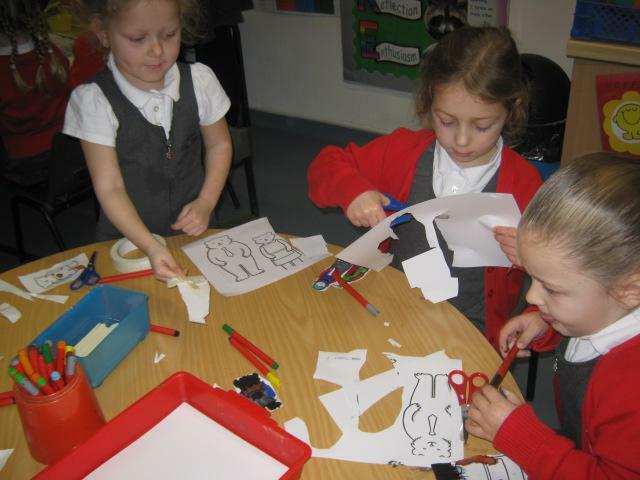 They had to follow instructions on how to make honey sandwiches after hearing the story of Goldilocks and then had to try their skills at observational drawings of Mrs Hill's favourite bear John, who visited the classroom especially. 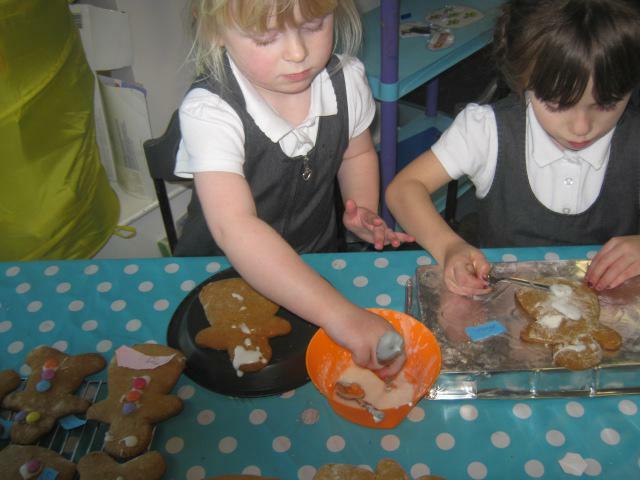 The story of the Gingerbread man started the children thinking different ways of crossing the river. 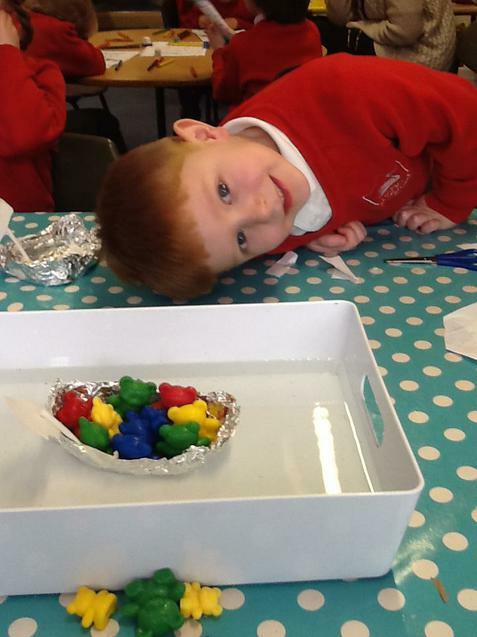 Some children thought a boat a good idea and made one from tin foil. 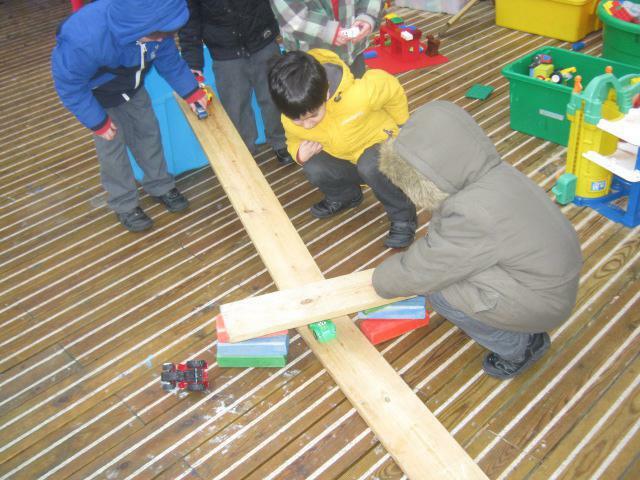 It wasn't as easy as it looked and apart from getting it to float they had to see how many compare bears it would hold. 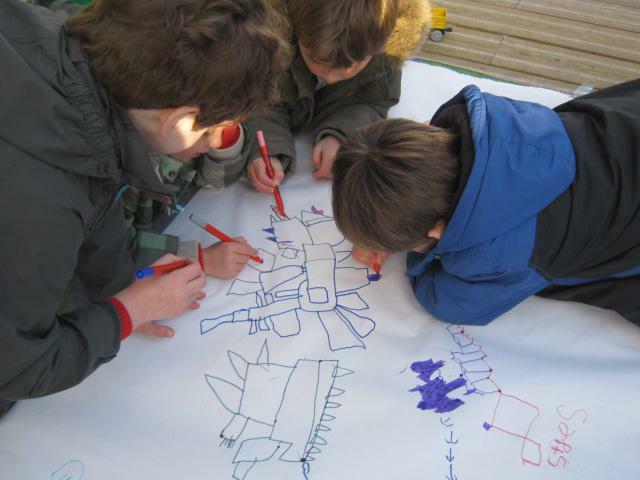 To celebrate Chinese New Year we were very lucky to be involved in a very special workshop. 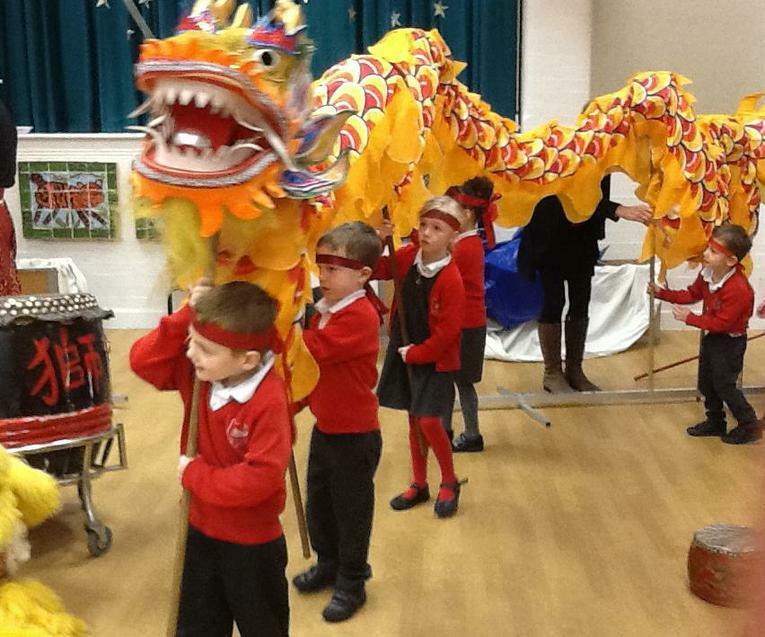 As well as learning a little bit of Chinese, the children took part in ribbon dancing, making music, learning a dragon dance and generally having a fun time. 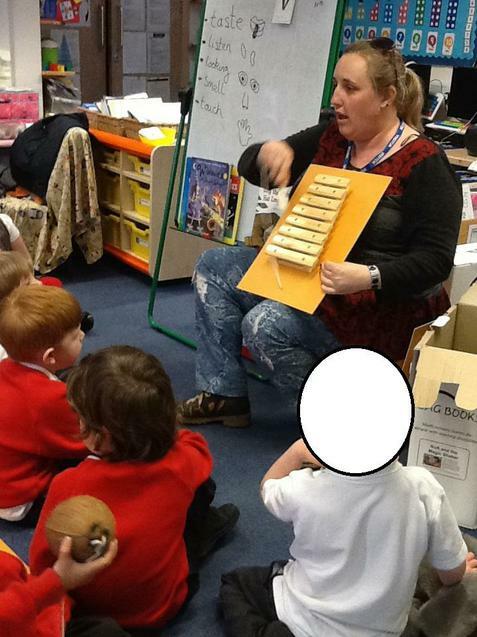 Mystery readers have started early this year and the children love the surprise of seeing who has come to tell a story. May saw the Mystery readers continue to visit. 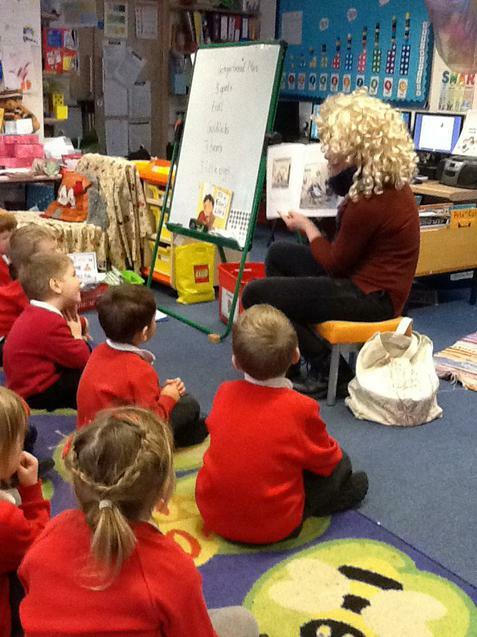 The children loved trying to guess who the Mystery reader was going to be by clues given to them. 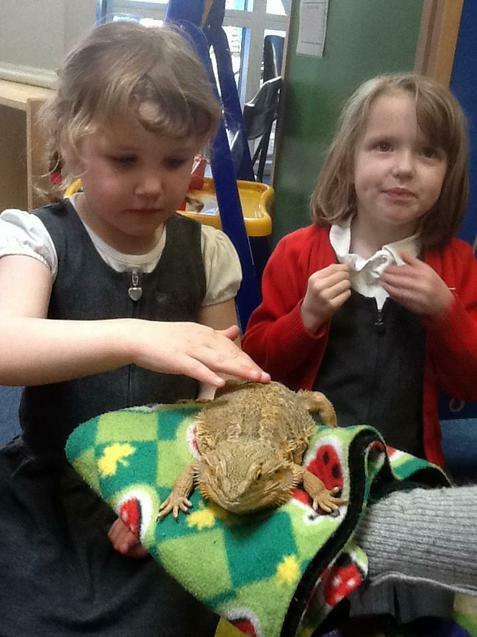 They really loved hearing a dragon story especially when a real live dragon came to visit too. 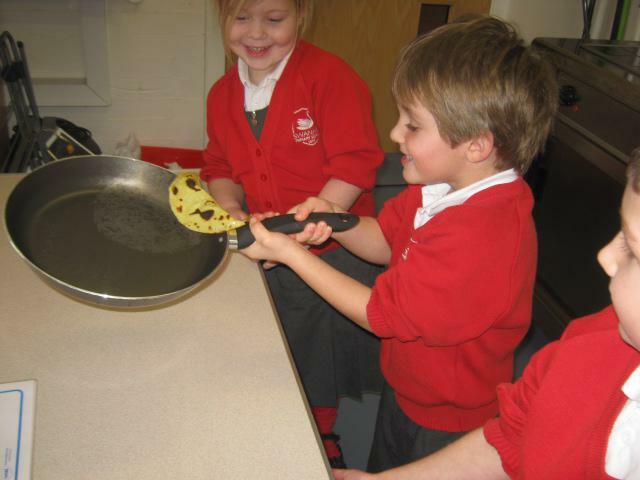 We had great fun this month learning through our topic of 'Down at the bottom of the garden'. 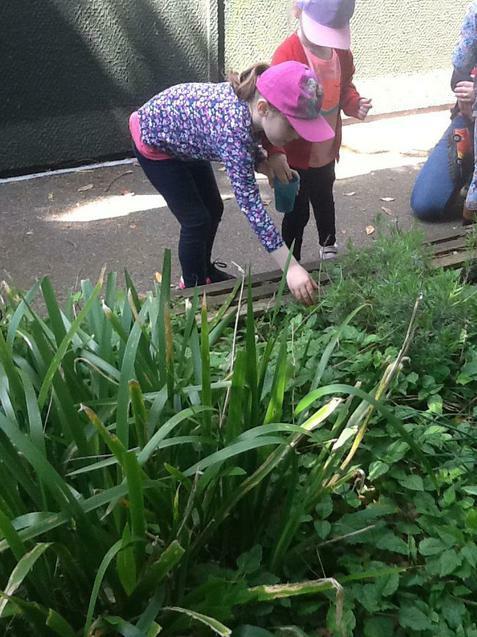 It meant we could get our hands dirty and enjoy planting and hunting for mini beasts. 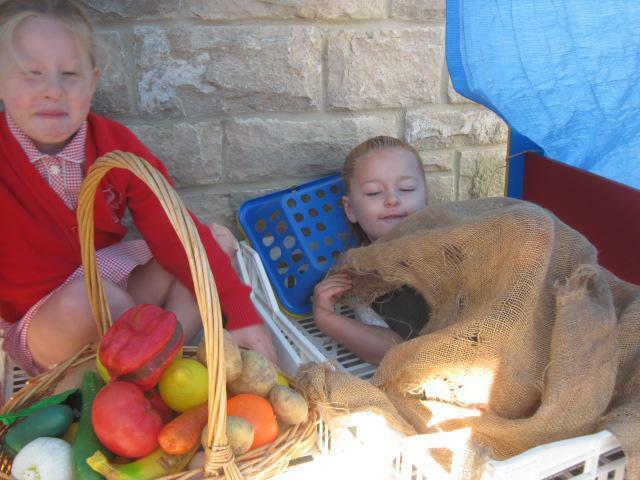 This half term the children will be looking at different places around the world and comparing them with where they live. We are looking forward to talking about all the places we have visited with our families either in this country or abroad and displaying this in the classroom. 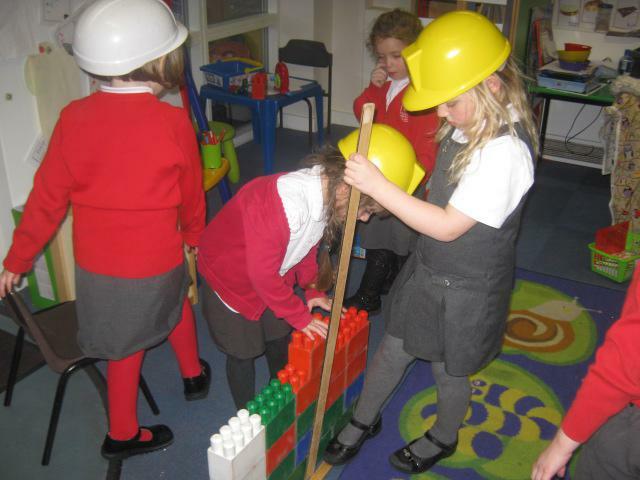 We will be talking about all the different occupations people do in the world and having great fun acting these out in role play. 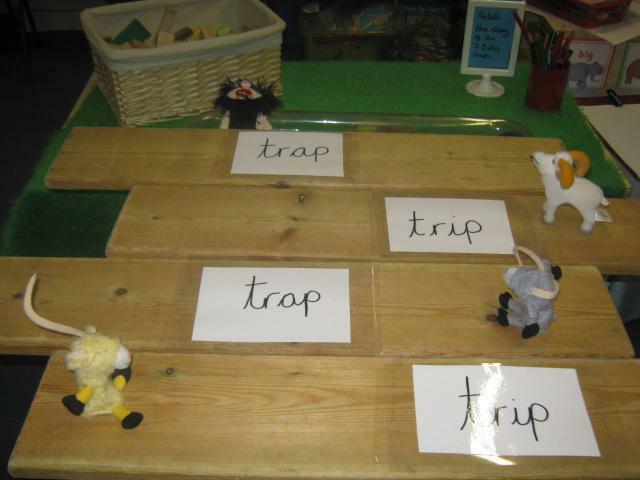 We hope everyone had a lovely break and welcome all the children and parents to the Spring Term in Reception Class. 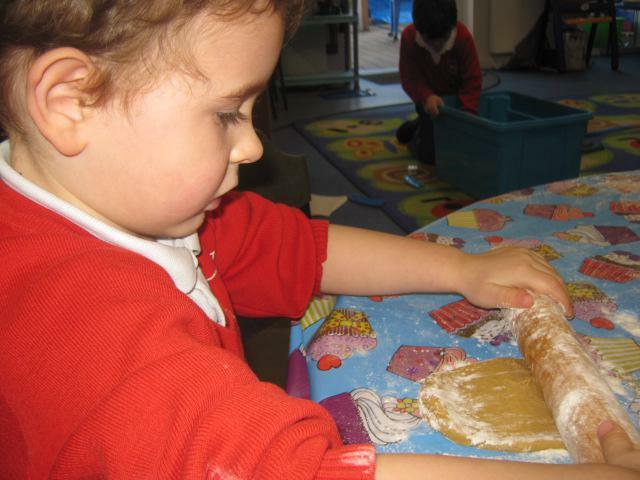 This Term we will be learning through our topic of 'Once Upon a Time', a favourite for both the adults and the children in the class. 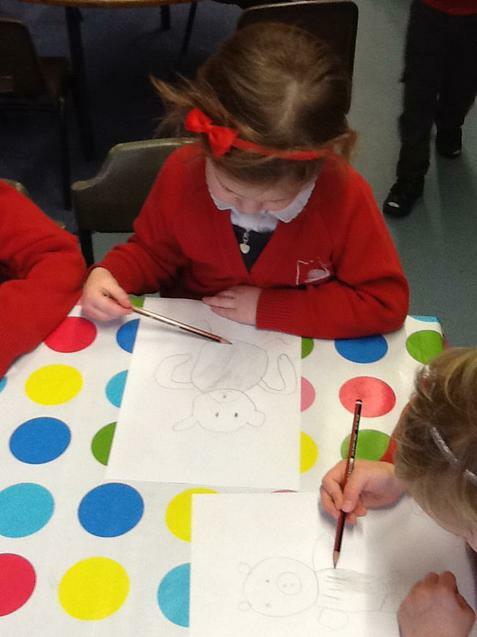 The first week back has seen us retelling the story of Goldilocks and the Three Bears through 'Talk for Writing'. 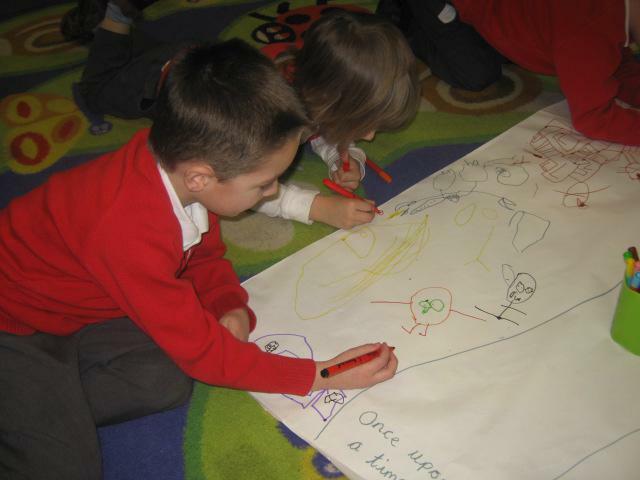 The children loved learning all the actions that help us remember the story. 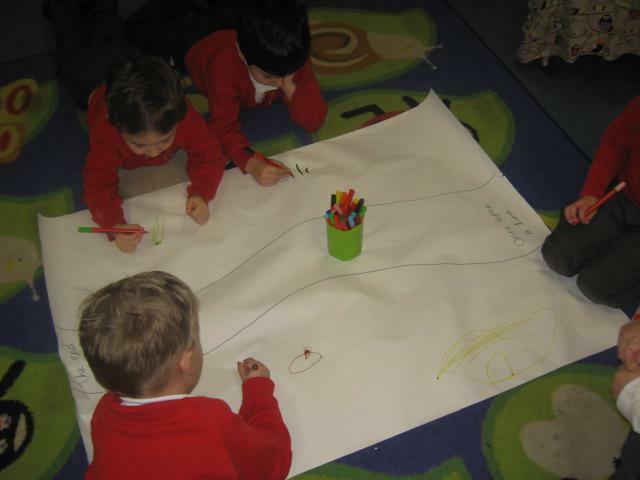 We have also been learning about story mapping and this coming week sees the children trying to write their own story map of the Goldilocks story. 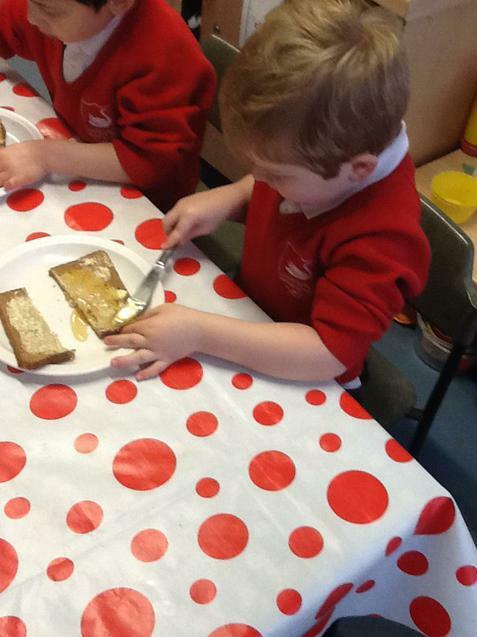 Making honey sandwiches and learning how to halve them is on the agenda to. 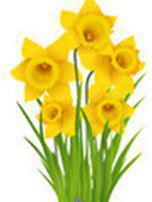 Come back to our page soon to see how we get on. 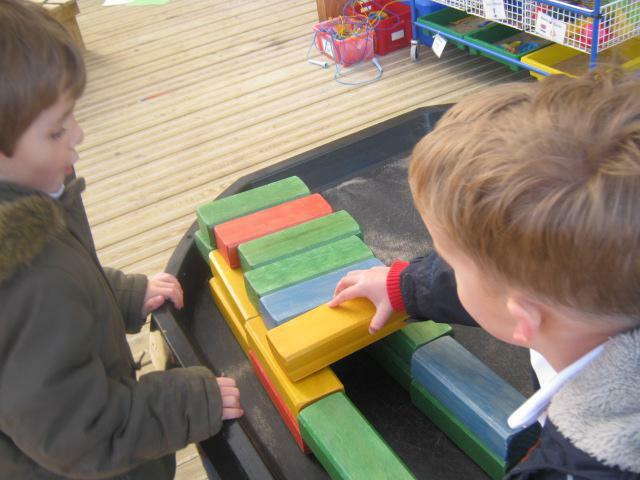 Trying to think of motivating ideas to get the children to write and be more confident when talking and explaining, is always a challenge. This has led me to introducing a new morning challenge based around identifying the odd one out. I must say the first week has proved very successful and the children have enjoyed trying to work out which picture is the odd one from a choice of three. 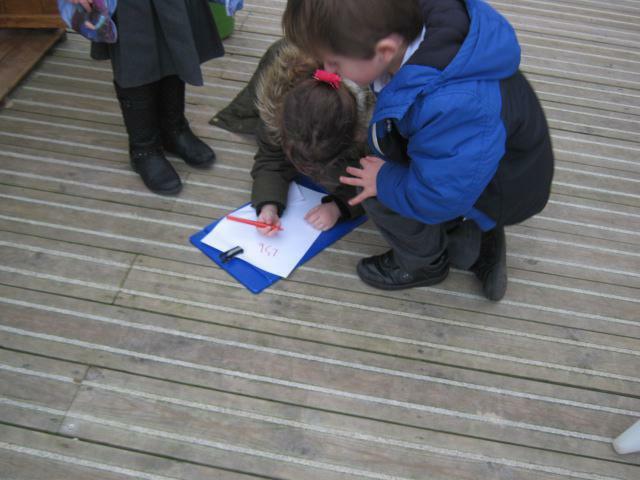 They have been writing down their choice and then verbally explaining why they chose a particular one. 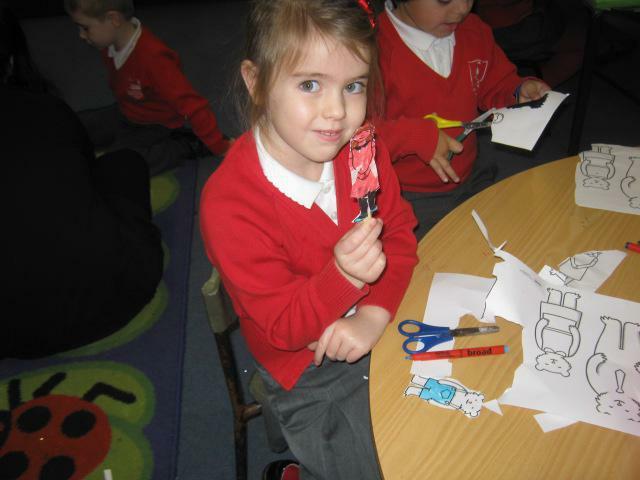 We have also been exploring porridge, making stick puppets to help us retell the story with our friends, and acting out the story in small groups during PE. All this and it's only the first week back! 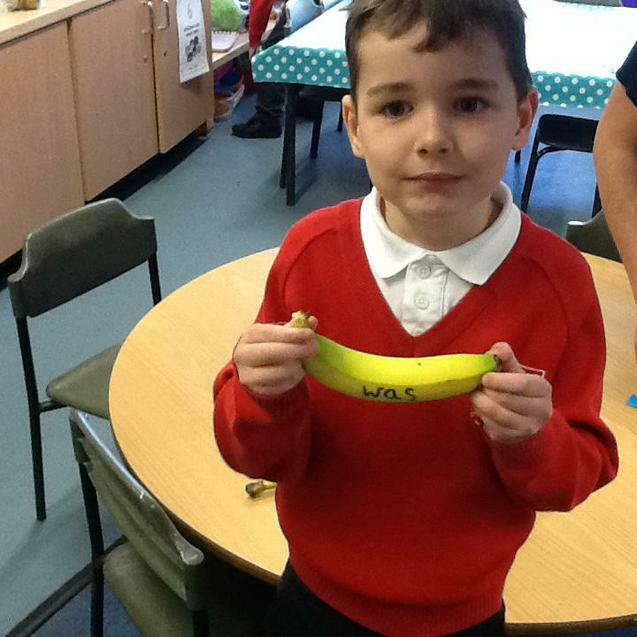 What a great start to the new year we have had. 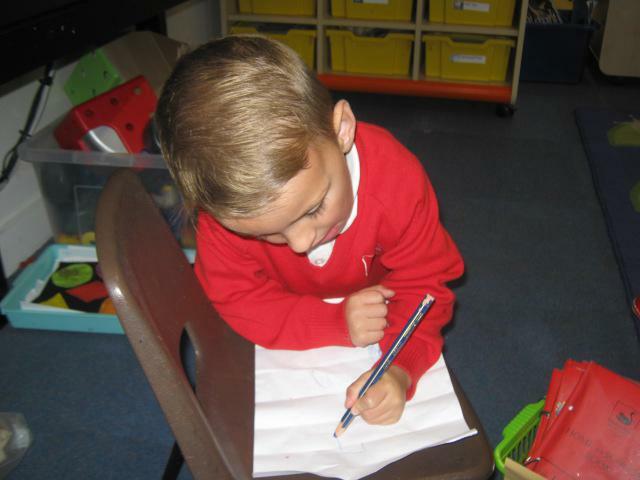 The children all seem very settled in their new learning environment and are becoming used to the rules and expectations of the classroom. 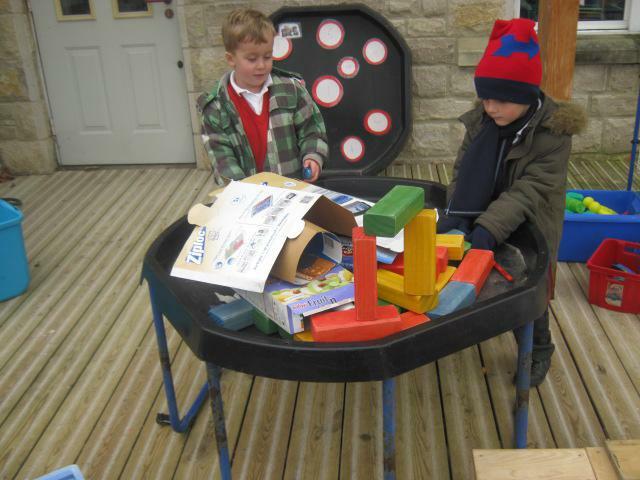 We have all had fun getting to know each other while accessing some exciting activities. 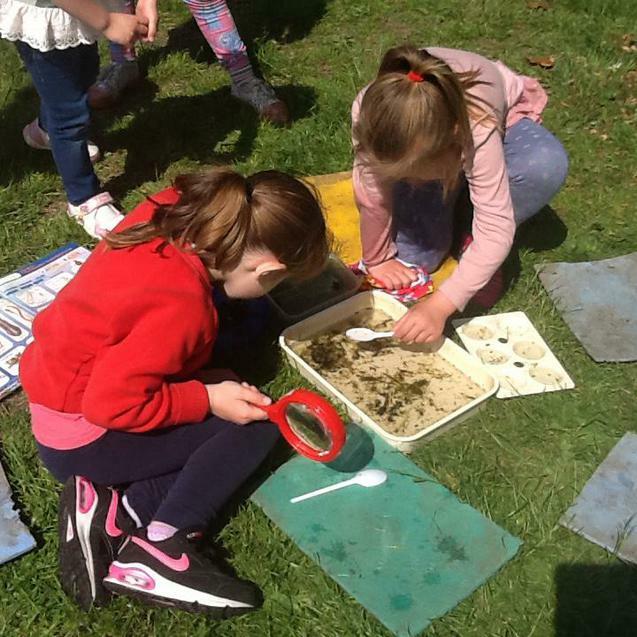 It has been lovely to see the children exploring and becoming familiar with all the lovely resources we have inside and outside. 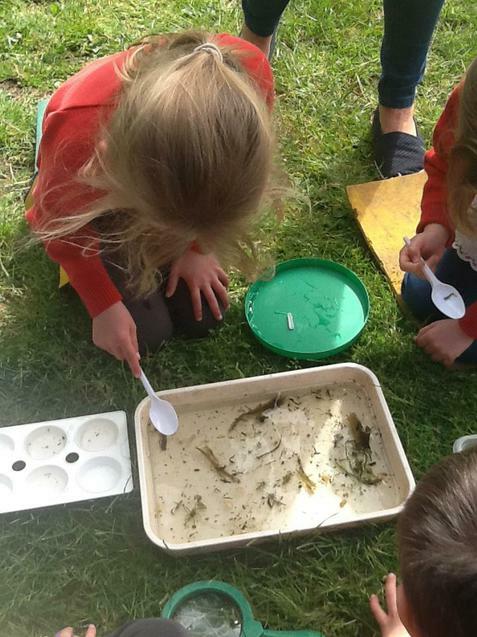 Welcome to Reception Autumn 2016 - Shrimp Class! 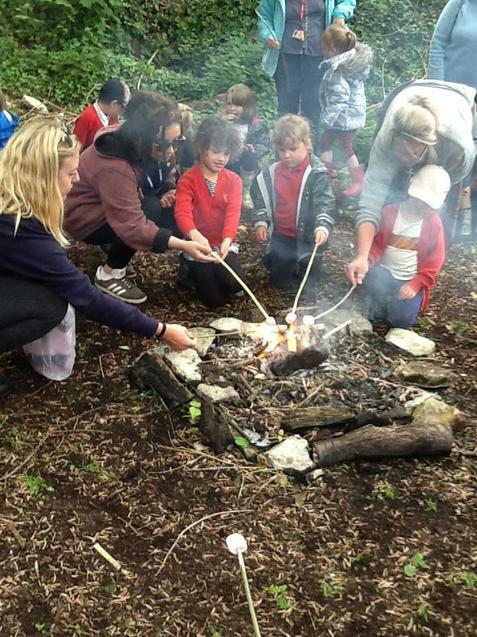 A very warm welcome to all the new families and some old ones as well joining Shrimp Class, where the children will begin their journey through school. 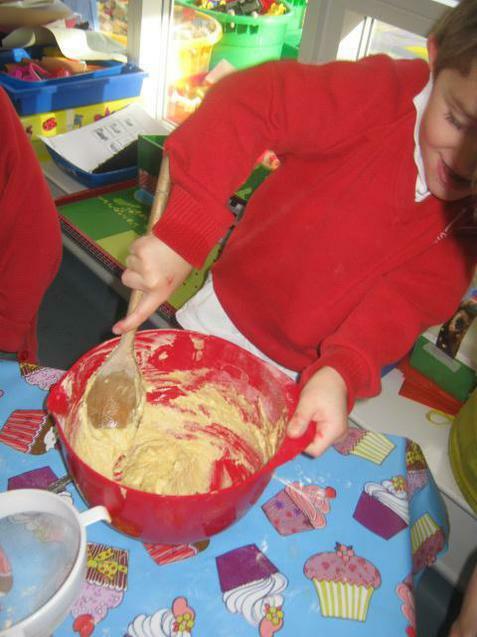 During the year the children's exciting activities and their fantastic learning will be celebrated here on our class web page. 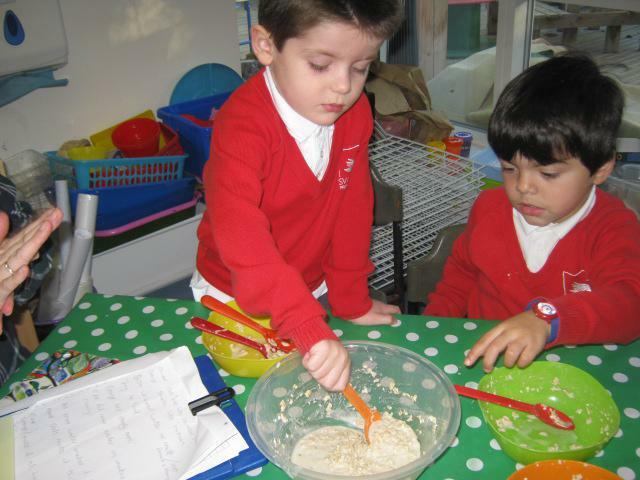 You will find lots of information and photos to ensure you will not feel left out of your child's time in Reception Class. 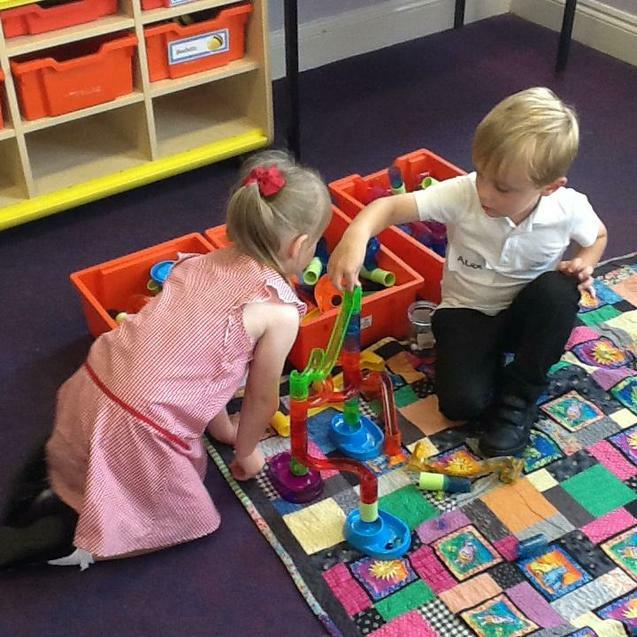 The first few weeks of the Autumn term are spent assessing the children and getting to know each other. 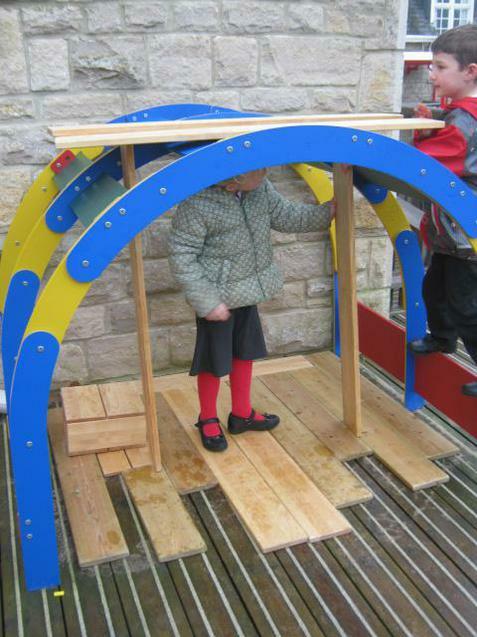 Wherever possible this is achieved through playing with and working alongside the children. 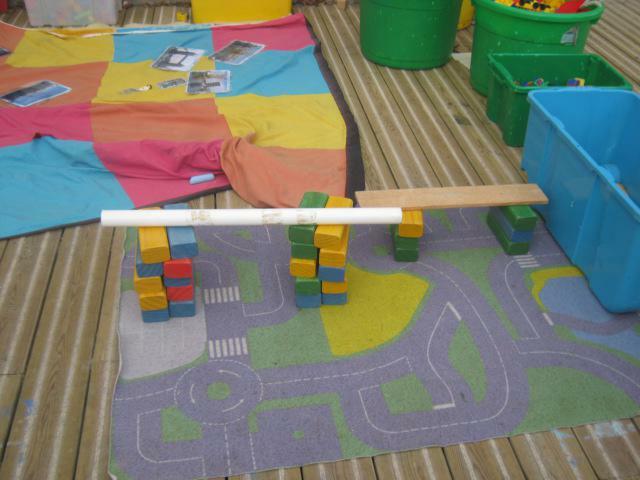 Playing games and encouraging the children explore their new environment enables them to become familiar with all the lovely exciting resources. 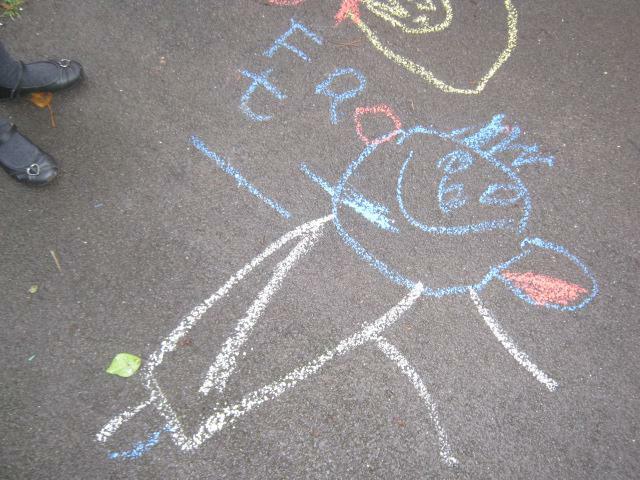 There will be opportunities to talk about themselves and their interests outside school, showing photos and things that are important to them to friends in class. 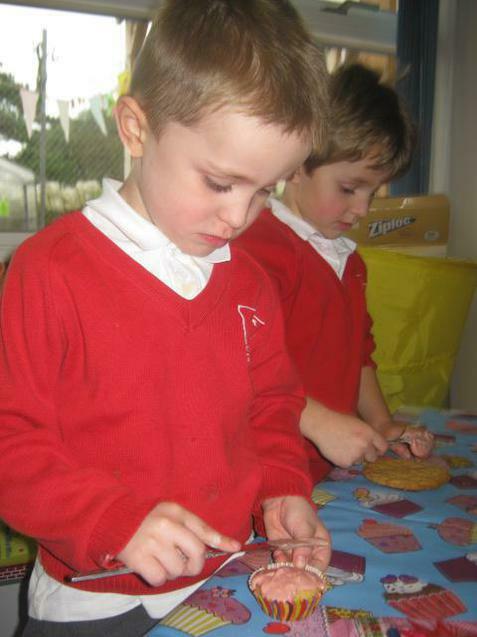 We will begin to think about behaviour in school and how to look after the lovely things we have in our classroom. 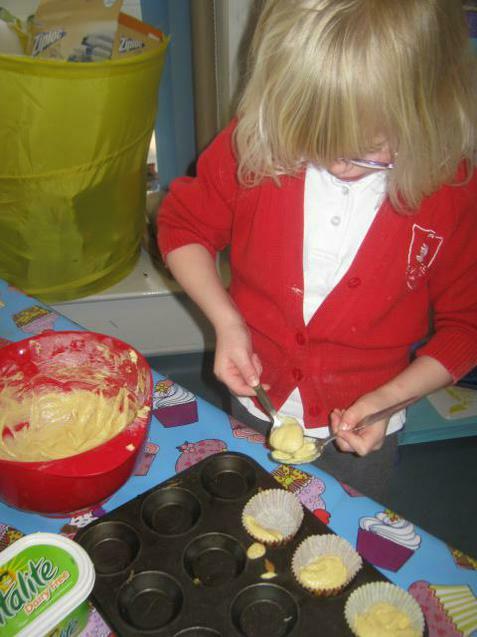 To help the children develop some independence the children will be given little responsibilities like taking the register to the office and helping with the milk and fruit. We will also decide on some Golden Rules for the classroom alongside our Class Charter which we all sign to say we agree with. However insignificant you might think your question is, we're always available to talk to, so please don't hesitate to ask. 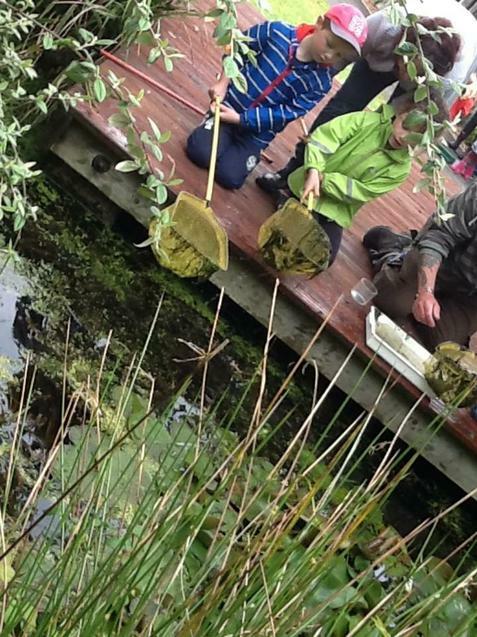 Below you will find more detail of the things we will be covering over the first half term. 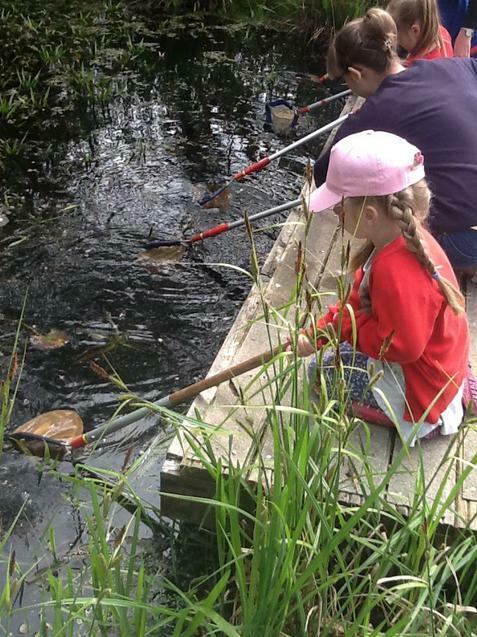 We had a lovely day out on Tuesday to Leeson House. 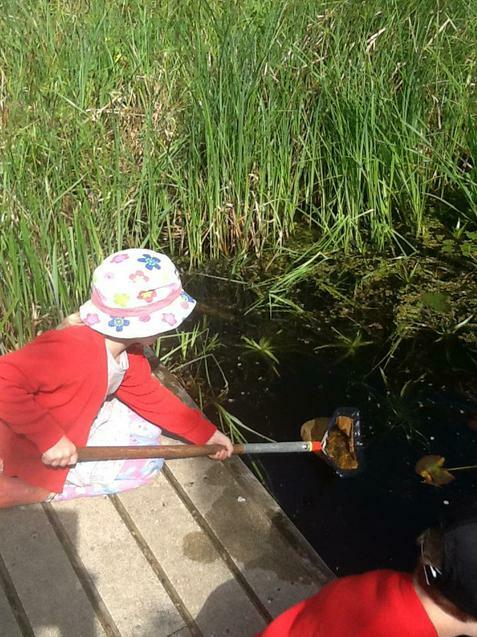 We had fun minibeast hunting and pond dipping. 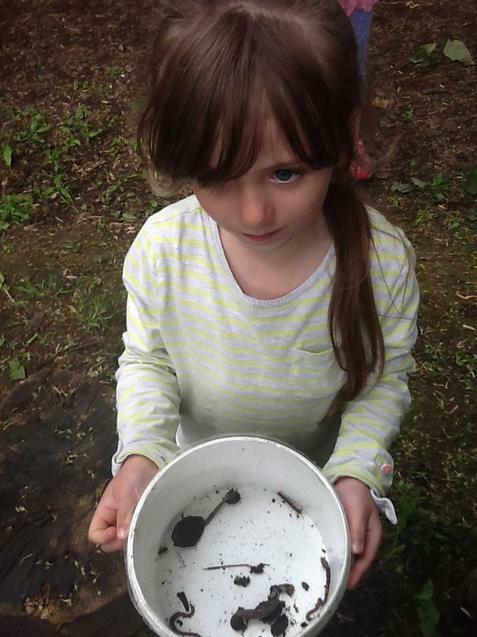 Some of us caught newts. 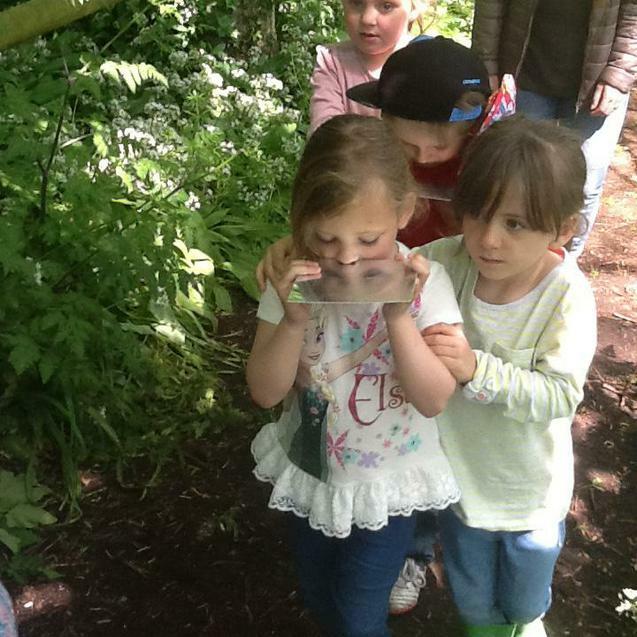 We walked through the trees using our sky eyes (a mirror was held under our noses so we could look in the mirror without getting a stiff neck). 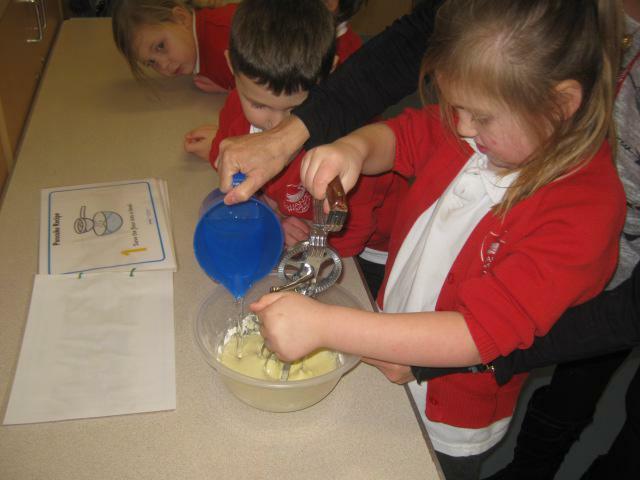 We used our senses by making smelly cocktails and finding different textures as we walked through the woods. 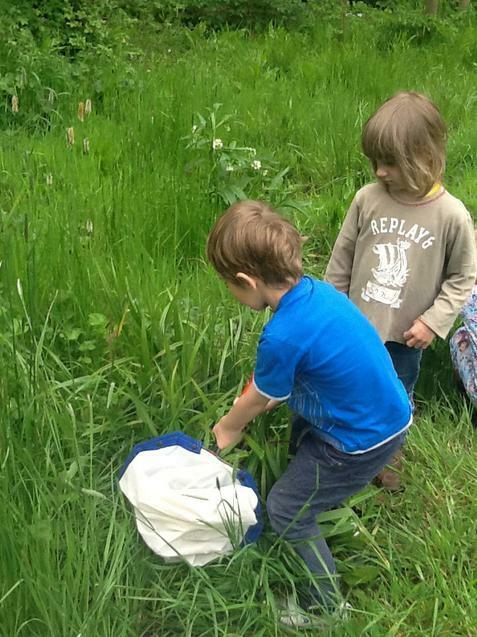 For the first half of this term the children will be going ‘Down to the Bottom of the Garden’ to see what they can discover. 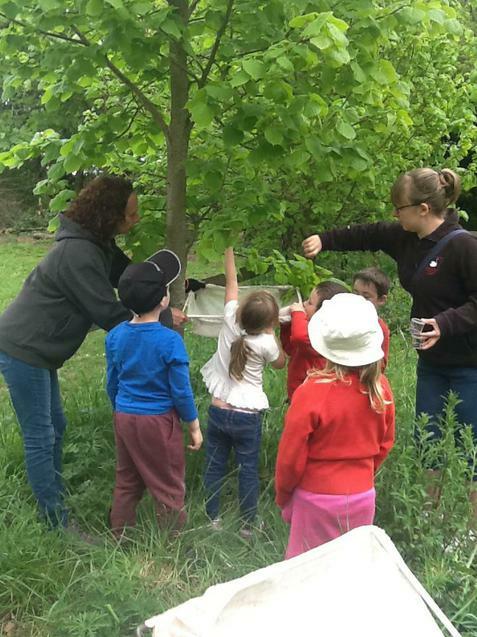 As we all know, we learn best if we are doing something we enjoy, so the children will be exploring seeds, flowers and minibeasts over the next few weeks. 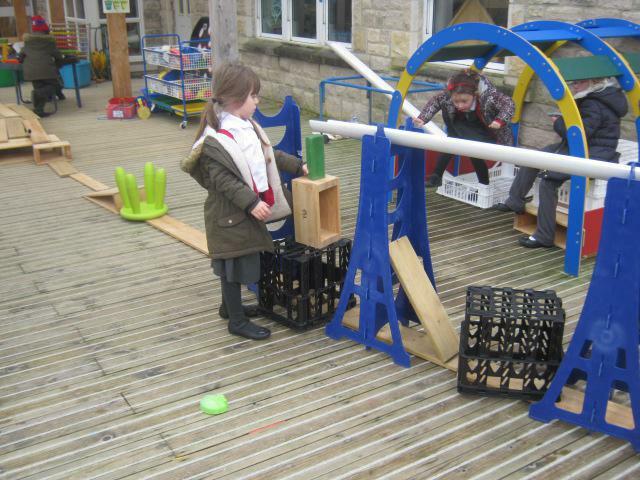 As you can see from the overview we will be doing some exciting learning. 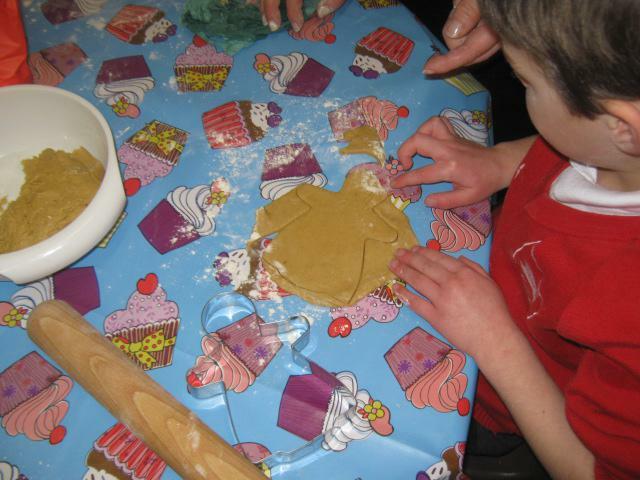 We will also be launching ‘Tapestry’ the online learning journey for parents to access in order to see what their children have been up to. 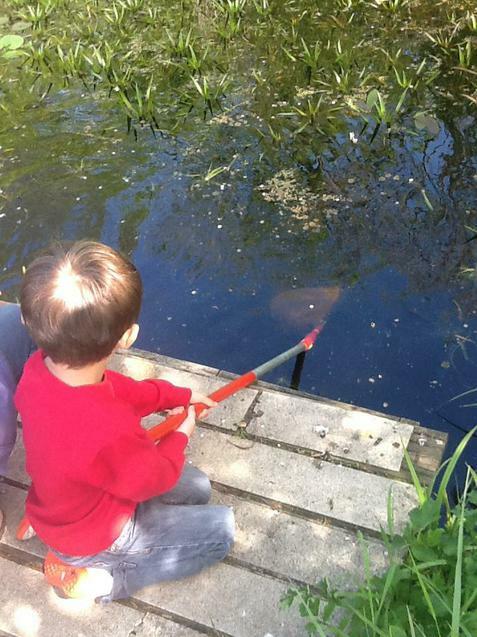 This half term has been all about 'Once Upon A Time'. 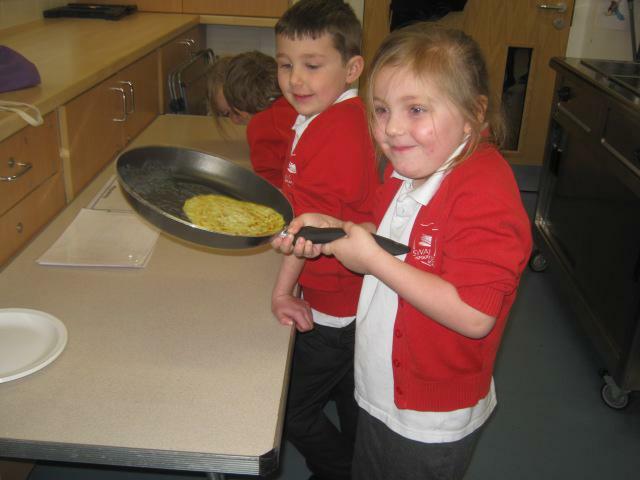 We have had great fun in the role play areas and had lots of experiences cooking. 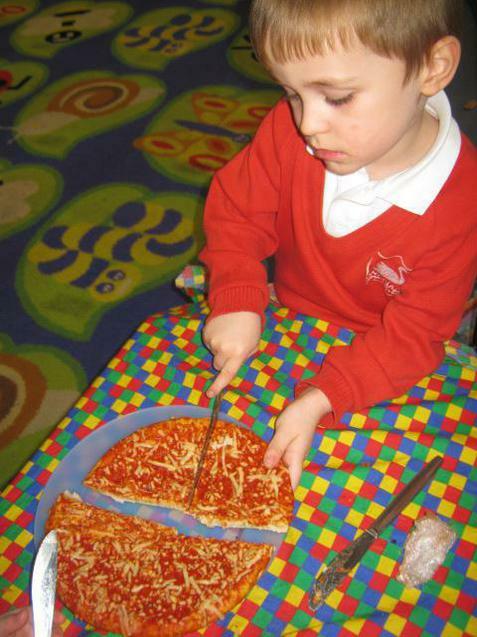 We've solved problems, especially when dividing and sharing the sandwiches and pizzas we've made! 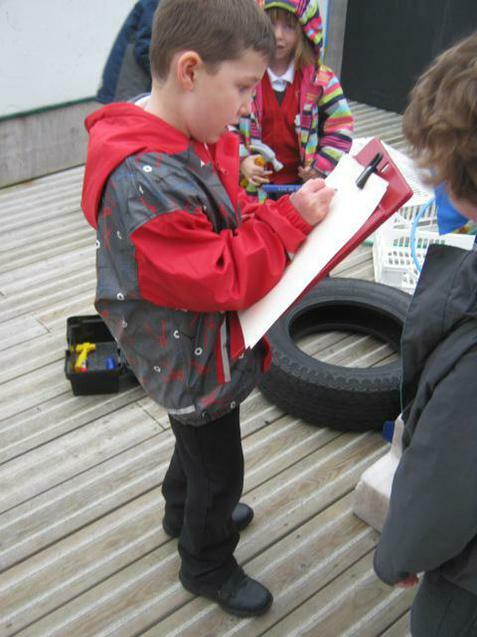 We've had lots of opportunities to practise writing and mark making as you will see in the photos. 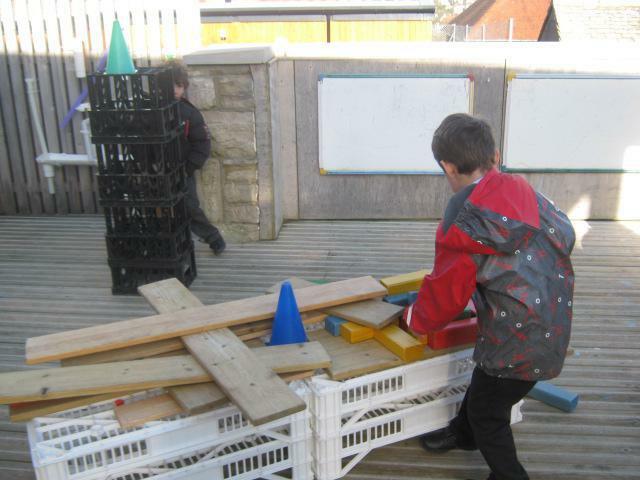 We've had to write lists in the building site to know what supplies and materials we have needed and lots of signs to worn of any dangers. 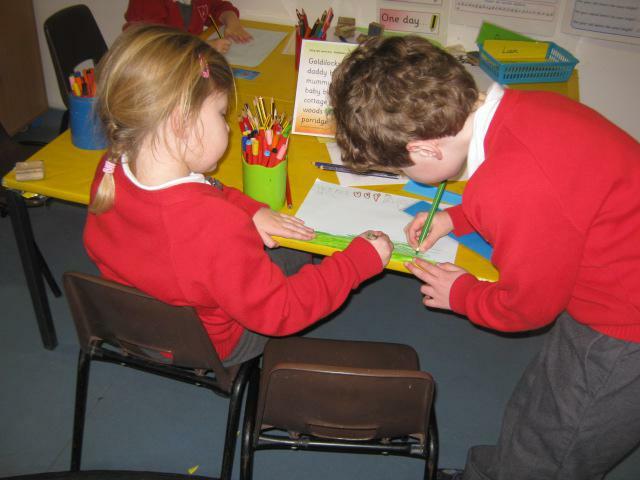 We've worked together to make story maps, bridges and houses. 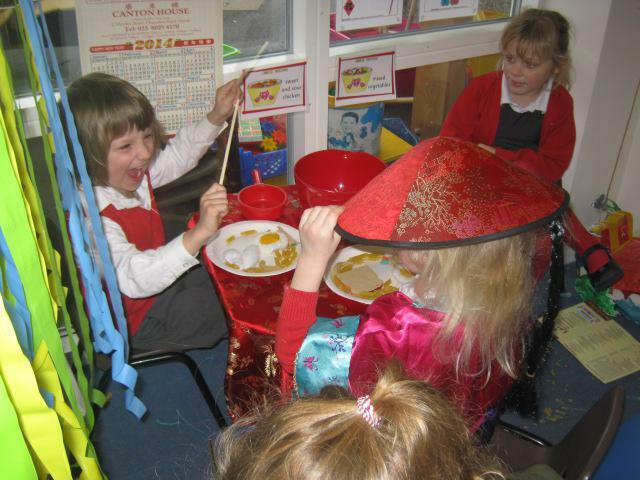 We have also celebrated Shrove Tuesday and Chinese New Year. 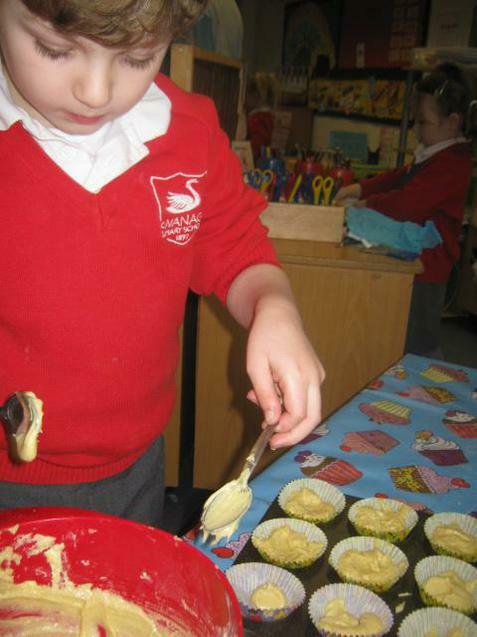 I think it is fair to say the children have had great fun and lots of learning opportunities this half term. 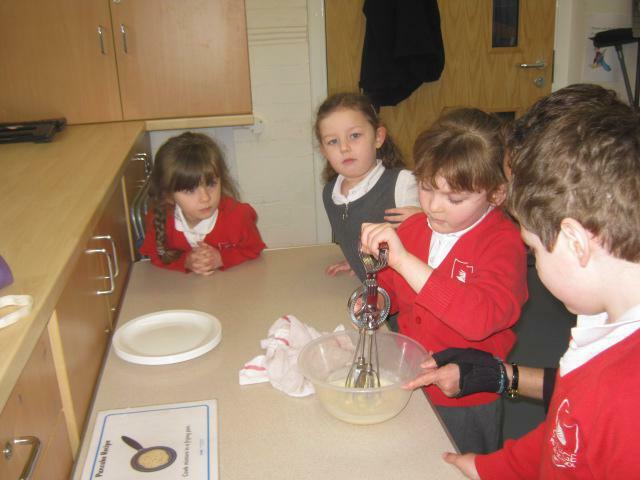 Welcome to Reception - Shrimp's Class! 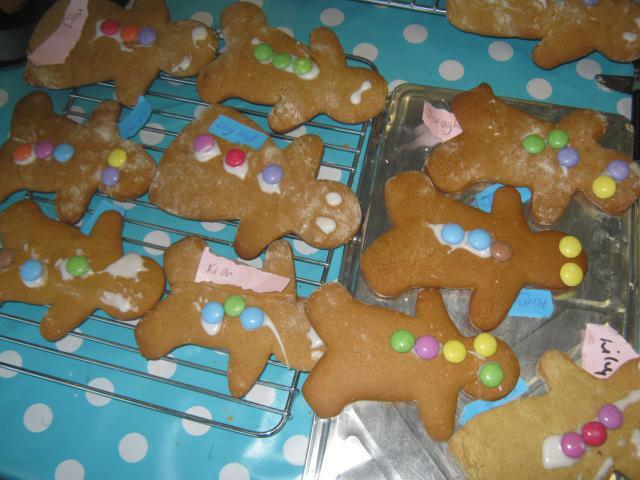 During the first half of the Autumn Term our topic will be 'Whatever Next', Taken from the book by Jill Murphy. 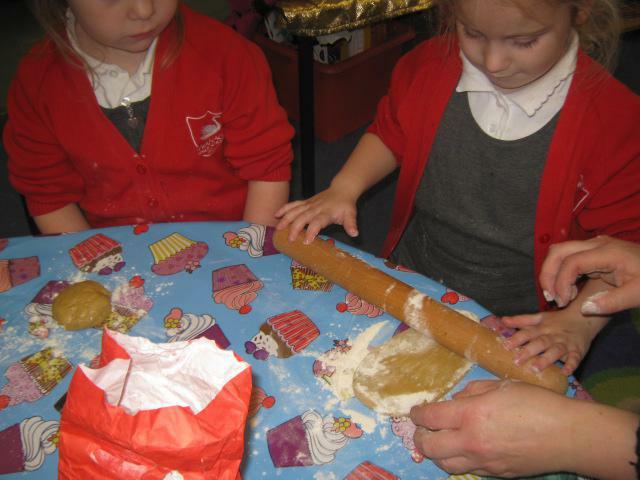 This will enable us to cover lots of the children's interests as we are just beginning to get to know them.